Rajinder Khanna, a former head of India’s external intelligence agency Research and Analysis Wing (RAW). Khanna was appointed this January. Bringing in a diplomat was possibly felt as National Security Adviser (NSA) Ajit Doval and his present deputy Khanna are both former IPS officers with experiences in intelligence, not diplomacy. Significantly, some of the former NSAs such as Brajesh Mishra (1998-2004), JN Dixit (2004-2005) and Shivshankar Menon (2010-2014) were retired IFS officers. During the previous UPA regime, NSA MK Narayanan (2005-2010) was a former IPS though. 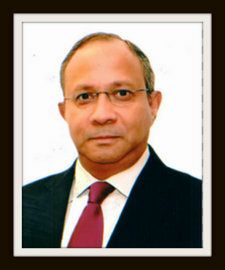 New deputy NSA Saran also served as India’s high commissioner to Bangladesh and during 2007-2011, was the joint secretary in the Prime Minister’s Office. In another development, the government on Monday gave additional charge of the post of secretary, Department of Defence Research and Development and Chairman, Defence Research Development Organization (DRDO) to Sanjay Mitra, 1982 batch West Bengal cadre lAS and present defence secretary, for a period of three months with effect from May 29, 2018. The government has also curtailed the tenure of 1995 batch AGMUT cadre Indian Forest Service officer Shyam Sunder Kandpal as director in the department of animal husbandry, dairying and fisheries under the central Staffing Scheme so that he can assume charge as joint director (at the level of deputy Inspector General of Forests) in Wildlife Crime Control Bureau under the ministry of environment, forests and climate change (MoFCC), a non-Central Staffing Scheme post. Also, Kumar Ravikant Singh, 2008 batch Uttar Pradesh cadre IAS, has been appointed as private secretary to minister of state for electronics and information technology SS Ahluwalia at the level of deputy secretary. In the Railways, Manju Gupta has been appointed as Additional Member (Electrical) in the Railway Board.